Tretheway Creek is a run-of-river hydroelectric power generating facility with an installed capacity of 21.2 MW and an average annual production of 81,000 MWh. It is located approximately 50 km north of Harrison Hot Springs, British Columbia. Construction began in 2013 and was completed in mid-October 2015. The Commercial Operation Date is October 27, 2015. An intake structure, comprising a weir to create a headpond, and an intake to divert a regulated amount of water from the stream. The intake structure includes a fish ladder to permit fish migration. A penstock to convey the water downhill to the powerhouse. A powerhouse to enclose the electricity-generating equipment. A tailrace to return the diverted water back to the creek. 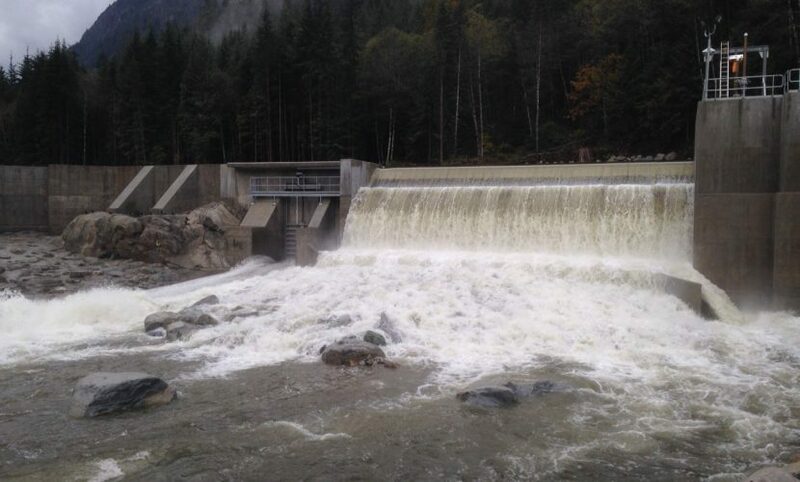 The tailrace is designed to remain wetted at all times and/or to eliminate the risk of potential fish stranding. A switchyard to transform the generated electricity to the desired transmission voltage. A transmission line linking the project to the point of interconnection to the provincial electricity grid.